Royalview Reserved Picnic Shelter is located on a hilltop in the center of the large Royalview area of Mill Stream Run Reservation. It features an open shelter with electricity, picnic tables, grills, water, restroom facility, ball fields, swings and horse shoe pit nearby. 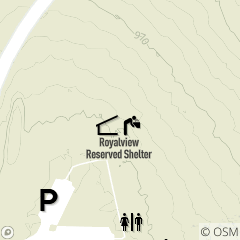 Royalview Picnic Shelter is located on Royalview Lane, off of Valley Parkway and just south of Royalton Road/Route 82 in Strongsville. Available May through October, daily. For more information call 216.635.3304 Monday through Friday, 8:30 a.m. -- 4:30 p.m.
Race on a difficult 4.25 mile trail run followed by a 6, or 12 mile mountain bike leg.